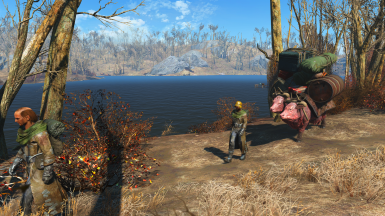 Fixed bug where the beacon would believe you were in Far Harbor after returning to the Commonwealth. - Fixed issue where salvage teams could become stuck in your settlement for an abnormally long period of time. - Fixed issue where DLC settlements that you activated via console commands or mods (as opposed to activating them via completing quests) would not function as dispatch locations even if you built a Comm Station there. - Fixed issue where salvage teams would stop spawning completely. 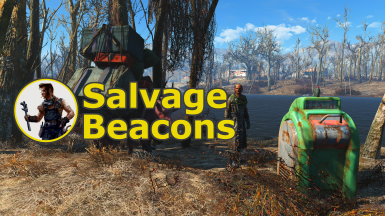 - Fixed issue where salvage teams would dispatch from another settlement when you were in NukaWorld and had a Comm Station at the NukaWorld Red Rocket. Fixes a CTD bug for users without the DLC. Prevents objects used as markers for Salvage Teams to pass between Worldspaces from being removed. 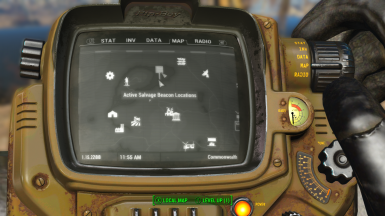 Fixes bug where the beacon select menu can get stuck on the Far Harbor settlements after visiting Far Harbor. Fixes exploit that allows player to reclaim beacon before delivery. Using the reclaimed beacon again before delivery would cause the previous delivery to fail silently. Miscellaneous Quest for Active Salvage Beacons will now hide itself after all of your deliveries are made and won't display again until you place another beacon. This was done to reduce clutter in the quest log. Made some changes to reduce the likelihood of the dispatch message showing "[..]" instead of the settlement name. If you see this bug, please report it. There is a rogue mod out there causing a conflict and I need some more save files/load orders to find out what's causing it. "Salvage Beacons loaded successfully." message has been removed, I now have other ways of troubleshooting. Converts a debug notification to a standard message to allow translation. Adds initialization function to help users with version changes as well as DLC installed after this mod. Fixes issue where someone using the mod for the first time without ever changing cells would receive no location in the dispatch message. -Beacons now work with custom settlement mods, assuming they were configured correctly and show up in the Settlement menu. 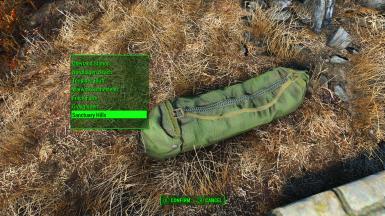 -The settlement prompt will now appear after you exit the container and uses the game's built-in settlement select menu. It, unfortunately, is not alphabetical, but it will remember the last location you selected. -Salvage teams are now spawned at the settlement's spawn point, this should reduce the likelihood of them spawning inside of buildings. -After using a beacon on a container, it is temporarily converted into a Beacon Cache to prevent cell reset issues and lost items from ever occurring. If you don't see the "Open Cache" prompt on the container, you may need to uninstall the mod, load and save your game in a new file, then re-install the mod. Though it's unnecessary as activating the container normally will still correctly open the cache. After items are delivered the container will revert to normal. Taught Salvagers how to swim so they would get stuck less often. (They will still try and use roads whenever possible). Removed Local Leader perk requirement from Comm Stations. This way people can console cheat in the beacons themselves if they want to avoid the perk. Found the root cause of the Sanctuary Workbench disappearing act and fixed it. 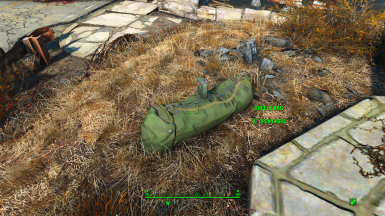 Workbench will remain invisible if it already affected your save, but your settlement will still function, and its items can be accessed in any crafting station. 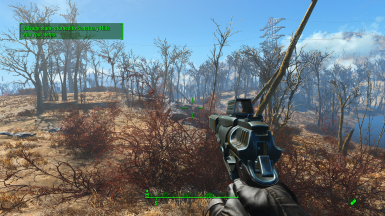 Fixed compatibility issue with unknown mod that can cause the Sanctuary Workbench to become permanently invisible. Added a 36 hour cap to each leg of the trip. For a max of 3 days for delivery, this was done to ensure distance calculation issues never cause items to be hit by a cell reset. Fixed issue where first time ever using a beacon could take an excessive amount of time. Fixed spelling mistake in tutorial message. 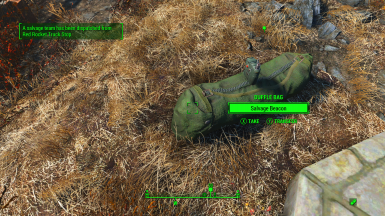 Interior containers in Far Harbor show now correctly display Far Harbor Settlements. Fixed issue where some interiors were being flagged as part of Far Harbor, even though they were not. Prevent robot settlers from being renamed to Comm Operator so that they can still be edited in the robot workshop. NOTE: Settler renaming to Comm Operator is temporary and will be restored to the previous name in a short period after being unassigned from a Communications Station. Removed additional leftover debug messages. Removed several debug messages and extraneous properties.